Digital sales available at CDBABY and ITUNES as well as other digital partners. A CD has been pressed and is available at our online store and of course all live shows! CKP is available to perform at YOUR event! Help us release (at least) ONE NEW SONG monthly and keep the CKP train a rollin'! CKP appreciates your support! THANK YOU! Our debut performance at CC's On The Rideau. Join us as we conjure up that good ol' down home feeling at Perth's "finest local pub". Admission is $5 at the door (no advance sales). Joined by Laura Anderson-Brick (Accordion) and Brian Flynn (Fiddle) get set to be bedazzled as The Celtic Kitchen Party hits the stage at the fabulous BLUMartini Bar & Grill. So, mark your calendars and help us kick off our triumphant return!! We're EXCITED - Are you?! We will be joined by the equally talented and handsome Andrew Vanhorn (guitar), Nathan Crockett (drums) and Scott Jackson (bass). The first saturday of every month we conjure up that good ol' down home feeling at Kingston's finest Irish Pub. Join CKP as we conjure up that good ol' down home feeling at Sunny Side Camground and Family Retreat. Contact us today for your private booking! Join CKP as we celebrate Canada Day - conjure up that good ol' down home feeling eh?! Join us as we conjure up that good ol' down home feeling at Fort Henry on Kingston's largest waterfront patio. This event offers an exclusive dining experience, weather-permitting, where guests may dine and drink on the stunning patio at the point of the Advanced Battery overlooking Lake Ontario, the Royal Military College and the City of Kingston. In the event of poor weather event will be moved indoors. CKP is available now for your private party booking. Join us as we rock the patio. Check out more information about the venue here. And there is NO ADMISSION FEE - always a bonus! Join us as we help rock the party at CFB Borden's Summer 2019 Ceilidh. If you're somehow connected with this great organization then it's likely we'll see you there.. if you're not, sorry, me thinks this is a private event. Join us as we conjure up that down home feeling at the Napanee Fairgrounds. Sure to be a great time. All ages. Sponsored in part by Kingston's Riverhead Brewery. Join Andrew Vanhorn (guitar), Brian Flynn (fiddle) and Laura Anderson-Brick (accordion) at one of many private parties this summer season. 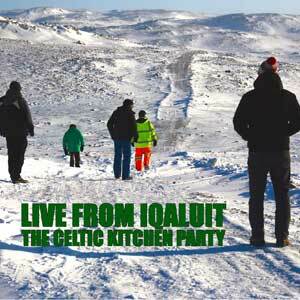 You supply the place - the cold drinks - and fire up the BBQ and... VOILA... we have a party - a Celtic Kitchen Party! If you know these folks, then likely you'll be hanging out with us... if you don't (sorry it's a private event) then please consider contacting us today and booking your own private party! Book now as dates are going fast! Join the Party! Join the CKP trio (fiddle, guitar, tin whistle/bagpipes) us as we conjure up that down home feeling in beautiful Rockport ON. Sure to be a great time. We're excited to be called in to help celebrate the annual "Endless Summer Social" event at the very beautiful and totally remarkable Braestone [Horseshoe Valley]. The first saturday of every month (currently in our sixth year) we conjure up that good ol' down home feeling at Kingston's finest Irish Pub. Bring your instruments and come jam with us or do a fifteen minute solo (sound system provided). 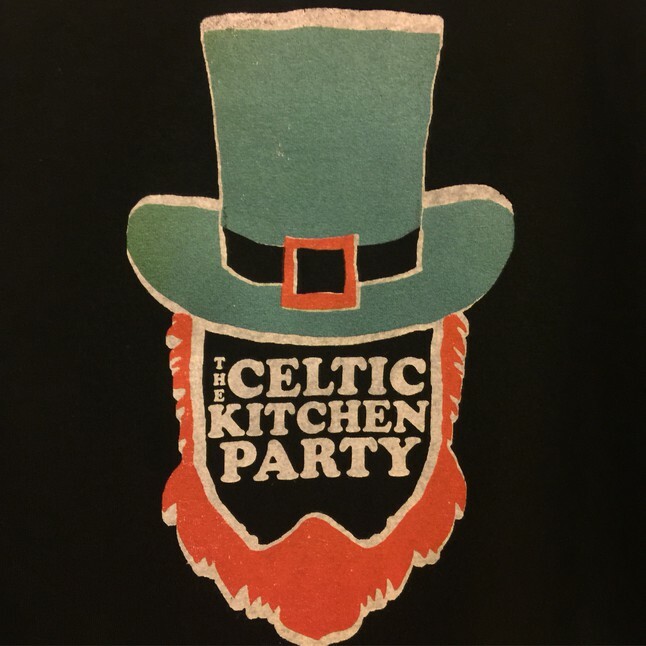 Featuring The Celtic Kitchen Party! For day guests, the cost is $20 per person, from 1200- 800 PM. For overnight guests, the cost will range from $175-$350 per person and will include Saturday night dinner, Sunday breakfast, and s'mores around the campfire. It will also include use of our hot tubs canoes, kayaks, stand up paddle boards and paddle boats on beautiful Bobs Lake. You can also fish or swim. Boating excursions can be arranged. Join us as we conjure up that good ol' down home feeling at our HALFWAY TO ST. PATRICKS DAY celebrations in the town of Gananoque. CKP is available now for your private party booking. This date also serves as the launch to our CD RELEASE tour. The first saturday of every month (in our sixth year) we conjure up that good ol' down home feeling at Kingston's finest Irish Pub. 2018 was the 65th Annual Light Up The Night Santa Claus Parade put on by Prescott Fire & Rescue. With an average of over 10,000 people attending the Parade every year, this event officially kicks off the Christmas season in the South Grenville area. The parade activities kick-off from the parking lot of South Grenville District High School. The parade travels south down Edward Street and proceeds west along King Street through the Historic Downtown Prescott area. Join CKP as we celebrate the Christmas spirit in beautiful downtown Prescott Ontario. Check us out along the parade route - Not to be missed! Join the boys as we celebreate some Christmas festivities in beautiful Carleton Place. Check us out along the parade route - Not to be missed! Join the boys as we celebreate some Christmas festivities in beautiful Smiths Falls. Check us out along the parade route - Not to be missed! Join the TRIO in the afternoona and the full band at night as we keep the crowds warm at Kingston's finest Irish Pub. We'll be joined between 6-9 by Laura Anderson-Brick (Accordion) and Kevin Offord (Vocals) doing up a slew of east coast tunes in a version we like to call "Great Big Me". Today is one of the most celebrated days of the year St. Patrick's Day serves as a time to honour Irish heritage while also remembering the life and service of St. Patrick. After all your patient waiting (and dedicated practicing) you have finally arrived at one of the best days of the year for sharing food, drink and good times with those closest to you. CKP is pleased to make their return to this celebrated annual event. After all your patient waiting (and dedicated practicing) you have finally arrived at one of the best MONTHS of the year for sharing food, drink and good times with friends and colleagues. The first saturday of every month we conjure up that good ol' down home feeling at Kingston's finest Irish Pub. The night regularily kicks off with The Kingston Irish Folk Club at 6pm with CKP hitting the stage at 9pm. Ready to bring the party to your place? Get the grill warmed up and the beers on ice. Renting a venue? We'll bring the sound! CKP plays corporate events! We've done everything from Canadian Forces Bases and Defence Shows to Teachers Unions, Nursing Conventions and Trade Shows - and we LOVE doing it! 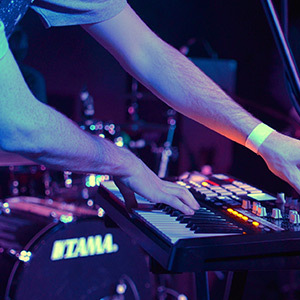 Whether you need a duo, trio or the full rockin' band we have numerous musicians available to suit your needs. We can work with you to make the best package and sound to compliment your corporate event. Please inquire further. We've done this before and you're in good hands. Conjure up that down home feeling and drop in for a traditional kitchen party. 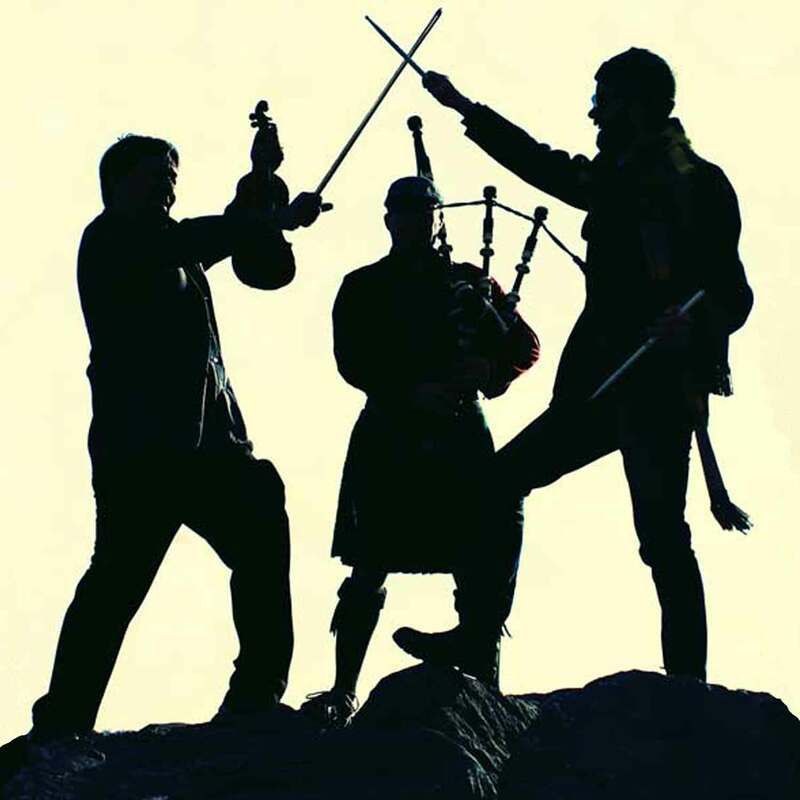 Boasting a diversity of talent "The Celtic Kitchen Party" plays a mix of traditional and contemporary East Coast, Irish and Scottish Celtic Music with just the right dash of Pop, Classic Rock and Country! CKP brings a lively high energy performance to any venue for a night you are sure to remember. CKP has shared the stage with The Mudmen, The Mahones, Sean McCann, Next Generation Leahy and Queens Bands to name a few. Career highlights include; Iqaluit Humane Society fundraiser (NUNAVUT), Ottawa Grey Cup Festival performing for Atlantic Schooners & Spirit of Edmonton venues, Stirling Festival Theatre, The Perth Kilt Run Main Stage, Fort Henry, Kingston RibFest and many of Ontario's Canadian Forces Bases. The lads are currently hard at work on their DEBUT album being a mix of Originals and Covers. They also hope to continue the successful SONG OF THE MONTH CLUB sponsored by Patrons. So, what exactly is a Patron? You know how theaters and museums have a plaque listing all the people who have financially helped them out? EXACTLY THAT! Did you SEE our wall of PATRONS above? Please consider joining today and gain elite access to any number of exclusive rewards, access to the back catalogue of great tunes AND you buy us the time to do what we love - which is CREATE music, while YOU get to LISTEN to even more CELTIC MUSIC! Consider joining annually at our STORE or if you prefer monthly membership we still have our PATREON site up and running. Set your event apart - be prepared to dance and sing along to some of the best party music ever made. Period. Welcome to The Celtic Kitchen Party! rises to the occasion mimicking perfectly the riffs and sounds of our top 40 tunes but with our own "celtic" flavouring. Not only is he a talented fiddle player but he also covers the low end of our vocal harmonies. 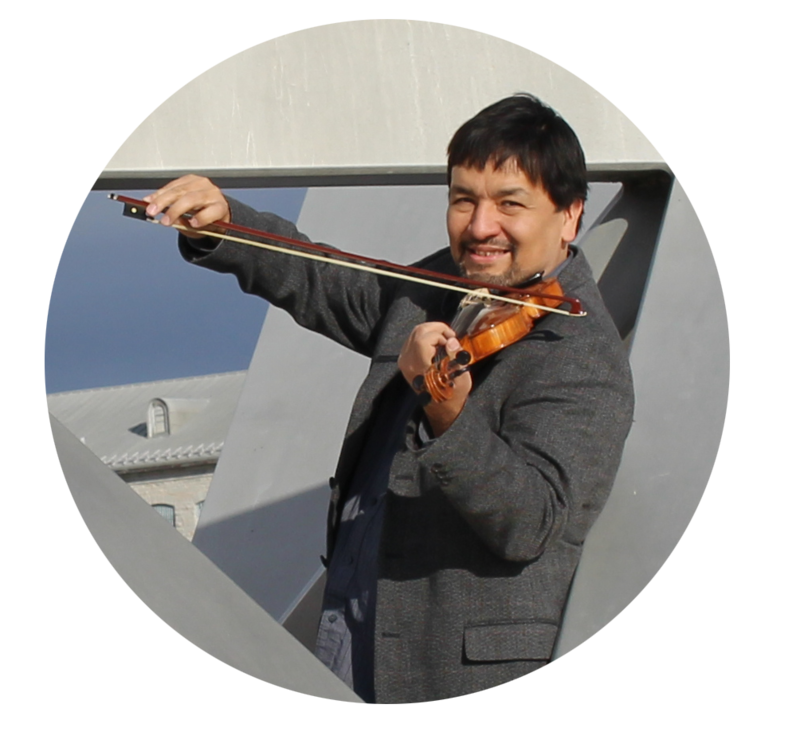 You can see (and hear) Tedd's passion for music all over the surrounding Kingston area, in projects (too numerous to name). 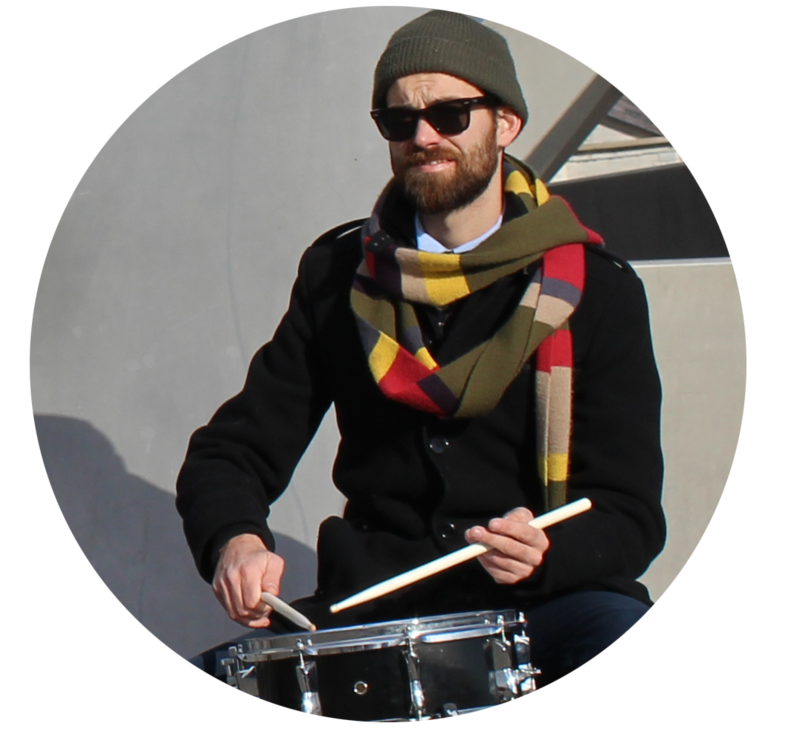 He loves performing with the ensemble group CKP and looks forward to sharing his musical talent with you! has shared the stage with Don Cochrane and Trevor Strong (Arrogant Worms), opened for Jason Blaine, Luther Wright and Mike Trebilcock (Killjoys) and recorded with Kelli Trottier. 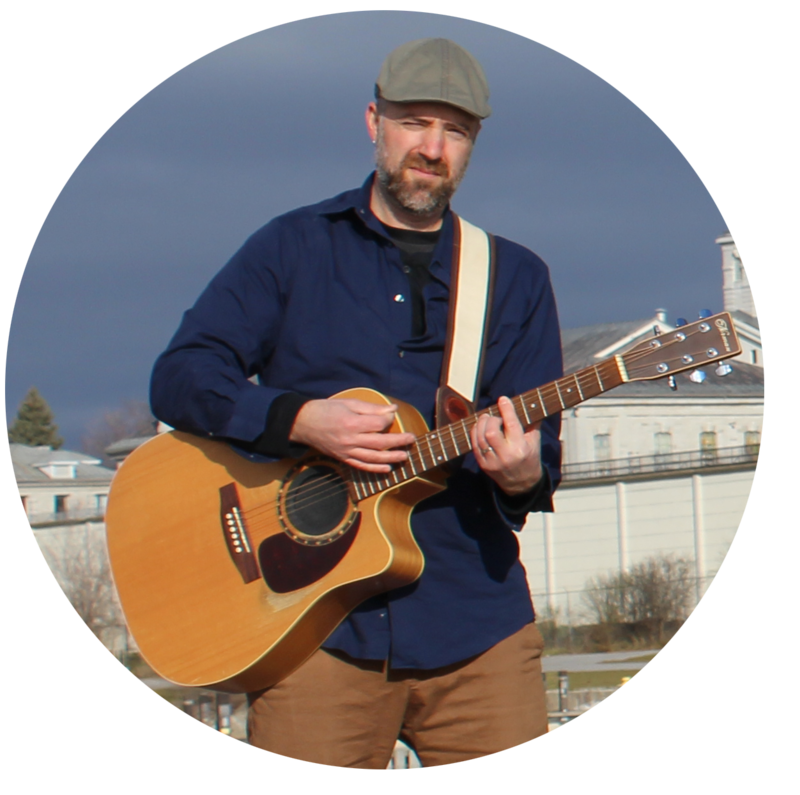 VANHORN is comfortable infront of the mic and predominantly plays the acoustic guitar (though he has been known to pick up the bass). He has great memories of touring the East Coast with Vile Richard and looks forward to more recording with CKP. is our relative newcomer to this ensemble group and has really beefed up our Scottish feel! 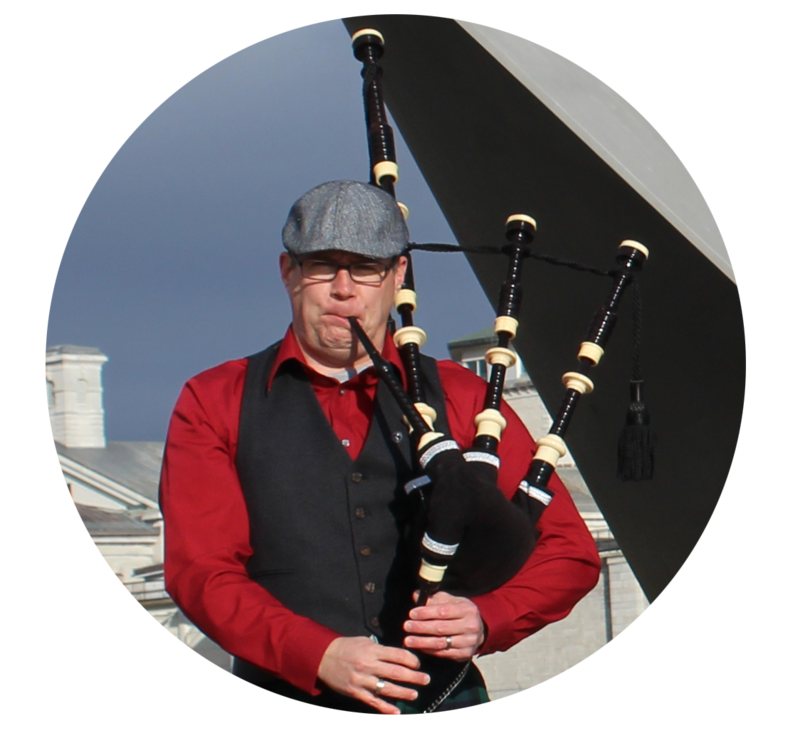 He is a founding member of the Devil’s Own Pipe Band and has over 30 years of piping experience. He has played with several Military and Civilian Pipe Bands and has performed for international dignitaries including Queen Elizabeth II. Neighbours are always ringing his doorbell in the middle of the night – fortunately, he is usually up practicing his pipes for the next CKP show. developed a firm foundation in highland and African drumming and spent a number of years touring Canada performing and facilitating clinics with ‘Sssnap’ (based out of Prince George, BC). After moving to Ontario Martyn became a member of the P.O.W.R. Pipes & Drums and alternative rock band Fossils & Gospels. Martyn continues to cement a reputation as a soul filled, outside of the box player. Martyn's goal remains to create a solid bed for the rest of CKP to build on. CKP plays weddings! Of course we can play your RECEPTION however did you also know we can play classical music for your wedding procession?! Cocktails? During dinner? We've done it - and we LOVE doing it. Whether it be double violin, cello, flute or bagpipes - we have numerous musicians available to suit your needs. We can work with you to make the best package and sound to compliment your very special day. Please inquire further. We've done this before and you're in good hands. But dont' just take our word for it - please read our testimonials below for proof of that. "We want to thank you guys for playing such amazing music at our wedding, you are all so talented. We've had so many compliments of our music and we couldn't have been happier with it! Besides that, you were unbelievable to work with, helping us select the music and alway getting back to our questions so quickly. We would recommend you to anyone, and truly appreciate your work, your music made our ceremony perfect." "The Celtic Kitchen Party delivered a fabulous variety of music and added a positive and upbeat atmosphere to the evening. We hired the band for their celtic/folk/country style of music and playing, which was fitting for our East Coast theme. The music was lively and the band was engaged and very interactive with the crowd. I highly recommend this band for future events and enjoyed every minute of their playing. They also showed incredible dedication as they played back-to-back events that evening supporting military functions. 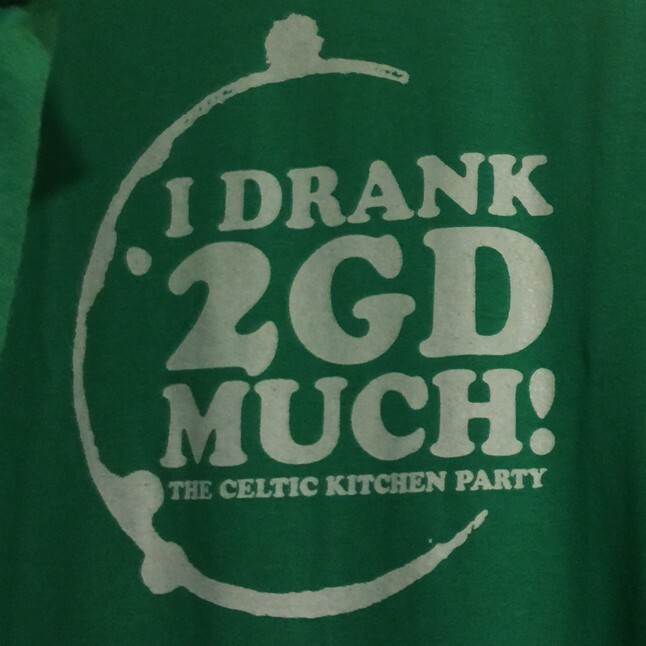 Thank-you Celtic Kitchen Party for a night to remember." "You and the band were outstanding - lots of great feedback from all our guests. Thanks for the superb job on the ceremony song, couldn't have imagined it better." "Andrew, you and your group are well received here and memorable! I hope to be able to call upon you more often! Thanks for your continued support of our mess"
"The groups performed their celtic flavoured repertoire that included a number of beloved singalong tunes including The Irish Rover, Farewell to Nova Scotia, Rattlin' Bog, and Dirty Old Town brought out the Irish in many listeners who sang along on many tunes. The trio played two sets and their laid back charm and their perfect blend made for a memorable day of high quality music at the beach." "Thank you so much for your performance...It made a spcial night even more speical... I would not hesitate to recommend you to anyone, Thanks again!" "The Celtic Kitchen Party were fantastic at KingstonFest 2014. We were thrilled with their performance, and they had the full participation of the audience - dancing, clapping and singing along. The musicians added the perfect blend of professionalism and fun to the days events, and we would love to work in collaboration with CKP again soon! Thank you so much!" "I was at Fort Henry on Saturday night and heard you sing! You are absolutely fantastic!!! I could have listened to your music for so much longer!..Well done!" "Loved you guys. Thought you were really wonderful. I would have you on the patio any time." "Andrew and crew had to find us on an island of a hot long weekend to play our event. They accepted the challenge and showed up with a talented fiddler, guitarist and singer very capable of entertaining the crowd. The guests loved them so much they kept asking them to stay longer and I'm still hearing about how great the band was! Thanks so much for making our special event truly stand out. We'll be calling you back for the next one!" "Andrew, thanks to you and the band for a terrific night. So many compliments the next day on the music and totally made my 50th a celtic kitchen house party to remember. Look forward to booking you guys for next year!" "The lively capacity crowd danced, sang along and raised a cheer to all around." 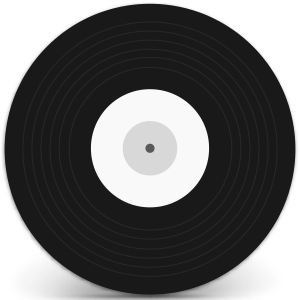 Join us as we fire up another edition of "Choose Your Own Setlist" - It's pretty basic, just pick which song you might like to hear next and VIOLA! Repeat as often as necessary to get the results you want! Have Fun! Stay up to date with the latest news and music through our mailing list. Click here to JOIN today! Whether you want it fast or slow - CKP will set the mood that's right for your celebration. Hurry now before your date is gone! We're only a deposit and contract away to secure your event and put you at ease. All around the world, in over 100 countries, there's a new holiday being celebrated on September 17th: Halfway to St. Patrick's Day! Halfway to St. Patrick's Day finds its roots in "Arthur Guinness Day" or "Arthur's Day," which celebrates that patron saint of beer, Arthur Guinness himself. In Europe, Asia, the US, and elsewhere, people raise there glasses at 5:59 PM on September 22nd to salute the man, the beer, and the fact that we are halfway to our favorite celebration of Irish customs, food, and drink! Events take place all over the globe from the 17th to the 22nd, so you don’t have to choose when to celebrate. Grab a pint, put on the Irish music, and bask in the green glow of the season! Appropriately, it was at this half way point in the year that Arthur Guinness signed a 9,000 year lease in 1759 to brew his beer at St. James Gate Brewery in Dublin. His brew has raised spirits and improved opinions of the Irish worldwide ever since. "Halfway to Saint Patrick's Day" is a new holiday, but it is spreading fast. Its popularity began in 2009 when Guinness had its 250th Anniversary. The company sponsored live music and other events all over the world as part of the festivities, and among those, “Halfway to St. Patrick’s Day” celebrations sprang up. St Patrick's Day 2011 - 15Now, Halfway to St. Patrick's Day events pop up everywhere and encourage people to gather in pubs, taverns, and bars, raise a glass and enjoy some fellowship with other lovers of St. Patrick's Day, Irish music, and beer! But the day is also being used to promote social causes. Many events raise funds for the Arthur Guinness Fund, which supports projects to improve communities and the lives of citizens around the world. A quick glimpse at Google will show Halfway to St. Patrick's Day road races and charity events in addition to the many pub parties in small towns and big cities around the world! So grab a pint and get ready to salute Halfway to St. Patrick’s Day on September 17th! And then you can raise your glass again for Arthur’s Day on the 22nd! It's a good day for a Guinness. And a great time for the Irish! One of the most celebrated days of the year St. Patrick's Day serves as a time to honor Irish heritage while also remembering the life and service of St. Patrick. September 17 is a "second best" as you're HALFWAY to one of the best days of the year for sharing food, drink and good times with those closest to you. It's FRIDAY Night! At Riverhead Brewery! 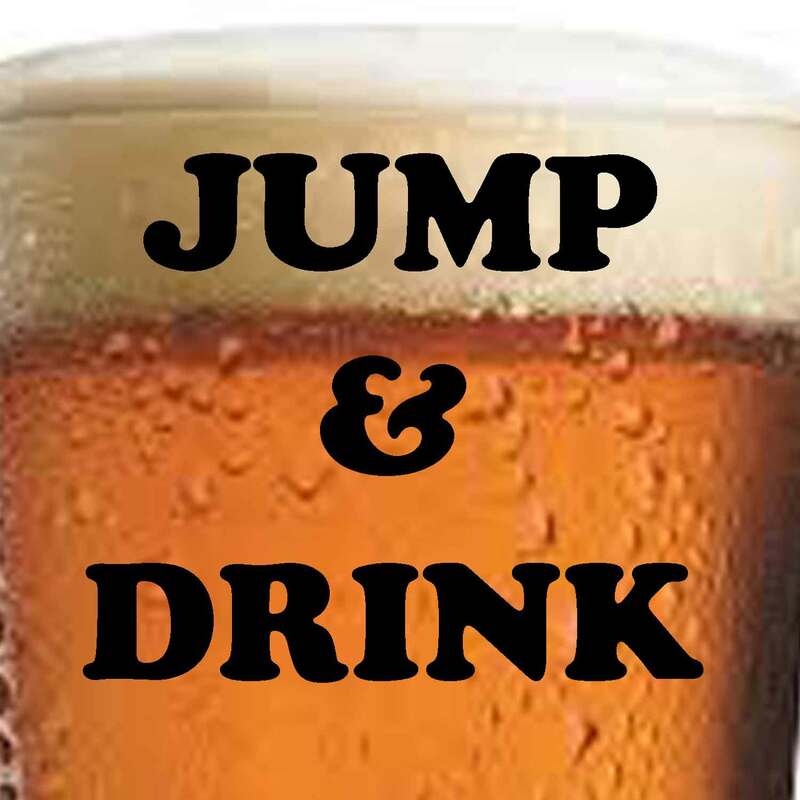 Join the CKP DUO at one of the newest, and finest, craft breweries in town. Riverhead Brewing is about the journey, not the destination. Whether you're hanging out with friends after a day on the water or just camping in your favourite spot, bring us with you and share in the adventure. Bring an instrument and join in the fun or shout out requests from your table - definitely a casual, fun night with all your favourite tunes. It's SATURDAY Night! At Tir Nan 'Og Irish Pub! Join the full band on the first Saturday of every month as we conjure up that good ol' down home feeling. This is our seventh year residency at Kingston's finest Irish Pub! At the Tir Nan 'Og you can expect great staff, food and drink - add in some great Celtic music and you're destined for an evening to remember, so come on down to the "finest local pub" and enjoy what is no longer arguable...be prepared to dance and sing along to some of the best party music ever made. Period. Welcome to The Celtic Kitchen Party! Every year it's sure to be a HUGE party in downtown kingston where we return to our residencies at The Public House and Tir Nan 'og. After all your patient "practicing" you've finally arrived at one of the most celebrated days of the year! St. Patrick's Day serves as a time to honor Irish heritage while also remembering the life and service of St. Patrick. March 17 is one of the best days of the year for sharing food, drink and good times with those closest to you.